Packing is one of the most important and tedious parts of a move. A well-organized and an efficient packing job will save you bundles of time at both ends of the move. Organization and prior planning allows you to pack your belongings without any hassle and unpack them equally easily at your new house. Once you have decided on the moving day, break your packing task into multiple sections. A timeline should be set and followed accordingly. This way you won't be rushing to get it all in at the end. Always make sure you have enough packing supplies before you start packing. TIP: Set aside 10 boxes to pack items in on moving day, such as bedding, clothing and cleaning supplies. Make note of the items that you are packing. Number each box and write a list of the specific contents it is carrying. This type of inventory system will help you during the unpacking process at your new house. 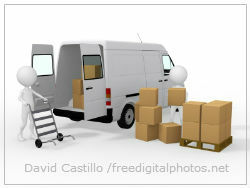 It also helps you during a claim in case of a lost item or an item that is damaged during the move. 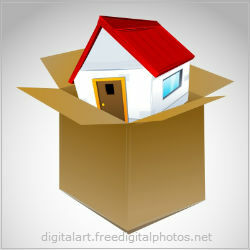 Downsizing your goods is one way of getting rid of extraneous items from your life. You need to question yourself about whether or not you really love, wear or need these items. If the answer is no, then you need to put these items up for sale in a garage sale or give some away to a charity. Whether it's you or your movers who are packing, it is still essential to pack in a smart and organized manner. The movers will keep the boxes in the room that matches with the color on the box. Important original papers such as your birth certificate, school records, job experience certificates, current bank records, utility company numbers, house closing papers and mover estimates should be kept with you in an accordion-style file folder. Make a copy of these papers and keep it in a secure location. Valued items like silverware, antiques and jewellery should move with you. If you need to move these items with the other household goods, then you need to check how much your homeowner's insurance will cover or you might need additional insurance. It is highly recommended to maintain a photo inventory before and during your move as it would be helpful during the claims process. Let each member of the family maintain a personal box which should contain items they would immediately need in the new home like sheets, towels, a change of clothes, toiletries, phones, extension cords, stationery and so on. These should move with separately in your car.